Takeuchi Manufacturing is a heavy equipment company founded in 1963 and based in Nagano, Japan. Takeuchi has subsidiaries in the United States, China, France, and the United Kingdom. In 1971, the first compact excavator was introduced in America by Takeuchi Manufacturing. The US Takeuchi Manufacturing plant is located near Atlanta, Georgia. They continue the tradition of innovation and excellence established by the parent company as they produce Takeuchi mini excavators in a 250,000 square foot facility. When tight spaces need dirt work, Takeuchi Manufacturing has solutions for contractors in different sizes and configurations. 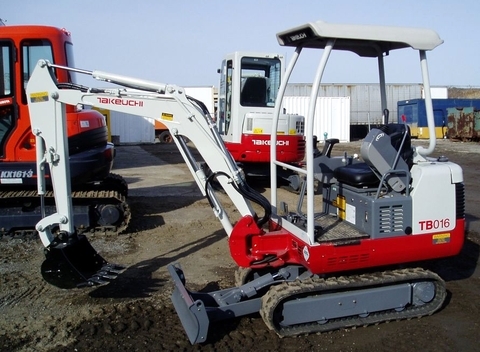 Takeuchi Manufacturing in the United States produces ten traditional excavators and three zero swing excavators. The traditional excavators by Takeuchi weigh from 2,033 pounds to 31,878 pounds. 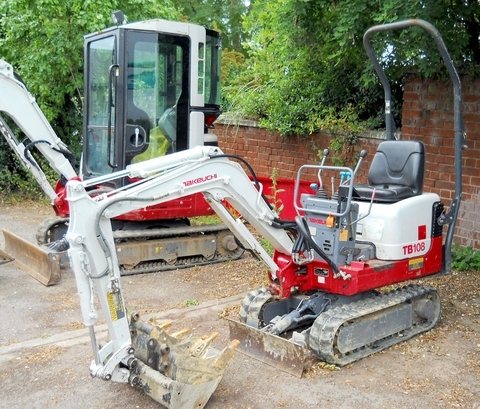 The smallest Takeuchi mini excavators have a digging depth of 5 feet and 6 inches. The tracks are adjustable to help the machine fit through narrow openings. The boom swings 180 degrees. The tail swing radius is 31.5 inches. Safety measures include a control panel lockout. The machine also boasts variable displacement piston pumps and a large capacity hydraulic oil cooler. Great power also allows Takeuchi excavators to keep moving in difficult work sites. Takeuchi zero swing excavators weigh from 8,316 pounds to 18,370 pounds. Digging depths range from 11 feet 3 inches to 14 feet 11 inches. 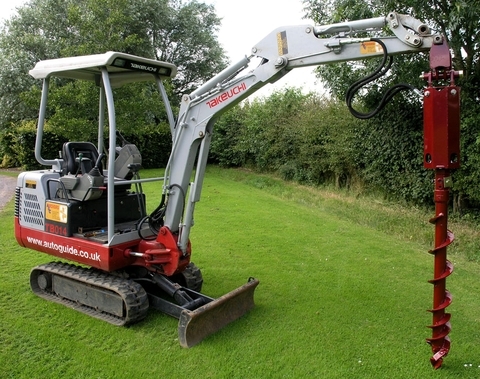 Zero Swing Takeuchi mini excavators have a side to side swing, allowing operators to work in extremely tight spaces. The field of vision for the operator is excellent due to a full clear panel in the front of the cab. Smooth operating comes from precision pilot controls and cushioned pistons. The design makes it easy to dig in the front of the machine and then dump behind the excavator. The zero swing technology allows the cab and boom to rotate within the width of the tracks. The most recent improvement to Takeuchi mini excavators is pressure compensating piston pumps. This piston technology allows the operator to maintain speed while running several functions simultaneously. They also provide quite a bit of force. The operator is able to feel the movement of the controls and respond with accuracy and smooth movements. The operator can control the machine in comfort, with plenty of room in the cab and a comfortable, supportive chair. Maintenance is simple with increased access panels. 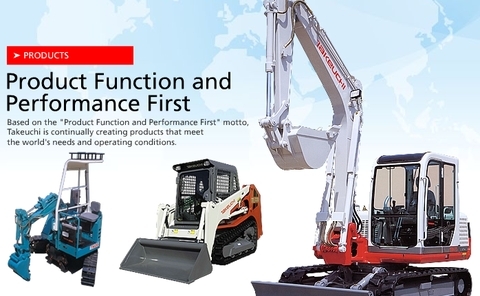 Takeuchi’s motto, “The Power of Product and Support,” means that the company seeks to provide quality, affordable products with excellent customer service.